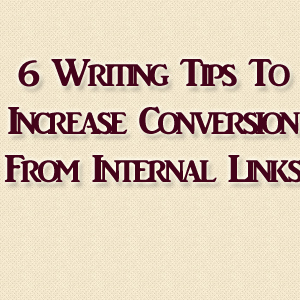 6 best writing tips that help to increase website conversion rate from internal links. We will discuss how to insert internal links in a website so that it creates more engagement and increases your conversion rate which later increases your traffic and page views. Recently we published special use of icons that psychologically increases website conversion rate because they enforce users to click on links and buttons. You can read the entire article here :- 10 Psychological Blogger Design Tips To Increase Website Conversion. Here we are going to discuss how to increase conversion from internal links that we insert in our posts. And, what is the right way to insert them along with us will take examples from authority websites and blogs. So sit tight we are going to get that magical formula to increase conversion or traffic. You are aware of this fact that every single user spends only 20-30 seconds on any website. So whatever conversion that has to be taken place will take during this short period of time. So show your content in the best way because you need conversions on your content. Now it will create conversion only when your readers will read your entire article otherwise chances are less to get click on those links. Now try this, I insert internal links in a different way i make them separate. I insert them at the end of the paragraph with my anchor text. The only reason behind this is to show them in a more clear way. Now it does not matter he reads the entire article or not but this way of inserting links will attract him and strike him and if the anchor text look promising. I will get click on those internal links. So these are the very common writing skills that can increase website or blogger conversion rate. As we are discussing here how to increase website conversion rate so here is another writing tips that I would like to share that may increase website conversion rate. Such arrows are a subconscious call to action and mostly convinces user to click on the links. First links appear different on the page . Such arrows are a subconscious call to action. Many authority sites like Quicksprout also say this. You can also get clicks from links when you add some special effects to your internal links below is the script that you can use to make a rainbow effect on links when you hover them. When you will bring your mouse cursor on the links or hover them then links will change colors like a rainbow. It will produce a rainbow effect when you hover over your internal links. 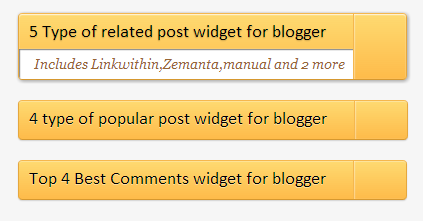 Always write some description of links before inserting them in your blog post. Like I did at the start of this post. I wrote what those psychological design tips did for me and what it can do. So when readers read those small descriptions of those links it engages them and I get clicks on links and hence my conversion rate increases. So these are all the small but very effective writing tips that can increase your blogger blog or website conversion rate through internal links.